Heavy duty mid-tine Honda Roto-Tiller. 5.5 hp Honda gasoline engine. Adjustable tilling width to 26". 3 position handle for operator comfort. Easy access to engine controls and handle bar on/off. Swing up transport wheel for more weight on tines while tilling. 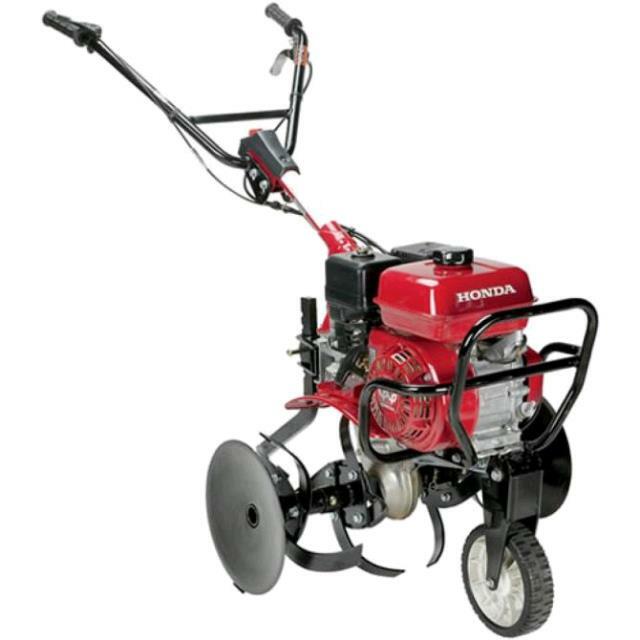 * Please call us with any questions about our tiller 5 hp mid tine honda rentals in Oak Grove MO, Blue Springs MO, Independence MO, Lexington MO, Odessa MO, Independence MO and Western Missouri.